WASHINGTON — Senators preparing a new NASA authorization bill want to ensure that the agency’s long-term focus remains human missions to Mars even as it plans flights to the moon. 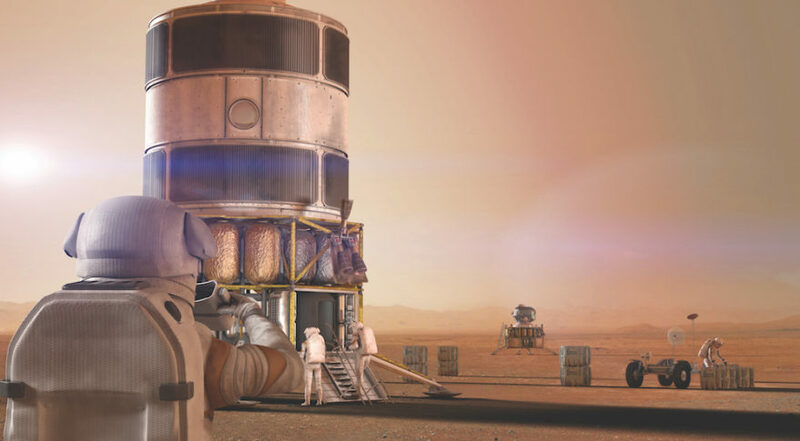 At a July 25 hearing by the Senate’s space subcommittee, titled “Destination Mars – Putting American Boots on the Surface of the Red Planet,” key senators made clear that development of a “Gateway” facility in cislunar space, or human missions to the surface of the moon, should not be a distraction to human Mars exploration. That view had bipartisan support. “We need to help NASA lift its gaze past the moon and understand how the work we do in space closer to Earth will serve us in our quest for Mars,” said Sen. Ed Markey (D-Mass. ), ranking member of the subcommittee. Both Markey and Sen. Bill Nelson (D-Fla.) criticized NASA for not yet providing a “roadmap” document required by a 2017 NASA authorization act outlining its plans for eventual human missions to Mars. That report was due to Congress last December. Chris Carberry, chief executive of advocacy group Explore Mars, cited language in that 2017 authorization bill calling for a report to study the feasibility of a 2033 human mission to Mars. “If this deadline it to be achieved, we cannot allow ourselves to postpone critical decisions. Otherwise, we will have little hope of seeing American boots on the ground in the 2030s,” he said. The committee billed the hearing as the first in a series as it prepares a new NASA authorization bill. The second hearing, scheduled for Aug. 1, will be devoted to NASA science programs, particularly the search for life beyond Earth. NASA Administrator Jim Bridenstine is expected to testify at a later hearing, yet to be formally announced.